Plan your next event at the Lynden Sculpture Garden. The Lynden Sculpture Garden's monumental outdoor sculptures, inspiring works of art and magnificent natural vistas provide a perfect venue for birthday parties, receptions, seminars, small conferences and retreats, fundraisers and community meetings with a cultural focus. The newly renovated facility at Lynden houses a catering kitchen, a conference room (capacity 16, available for full or half days), a dining room with the original furnishings of Harry and Peg Bradley (suitable for chef-prepared meals for up to 12 people), and function spaces overlooking a large patio and the sculpture garden. There is also space to erect a tent on the grounds. Capacity for outdoor and tented events is 250; the house accommodates up to 150 for receptions and 70 seated for dining. We work with a small group of approved caterers familiar with the house and grounds who will be able to ensure the success of your event. 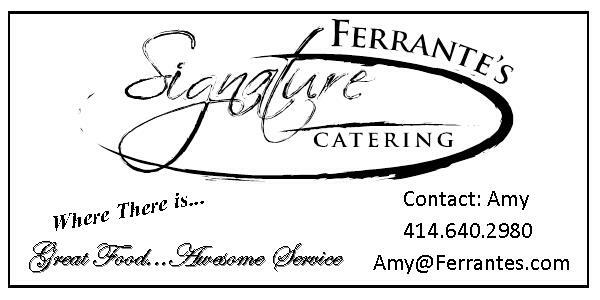 Most offer a full range of catering services, and some specialize in box lunches and informal events: Shully’s Cuisine (download a brochure here); North Star Catering; Ferrante's Signature Catering; Beans & Barley; Marcus; and Lee John's Catering. Please note that the following events cannot be booked at Lynden: weddings and wedding receptions; B'nai Mitzvah, graduation parties, proms; product sales and trade shows; alcohol-only events; art displays not belonging to or approved by Lynden; and political fundraisers. All events that make use of the patio or gardens must end by 9:30 pm. To find out more about holding an event at the Lynden Sculpture Garden, our fees and caterers, please contact Polly Morris at (414) 446-8794 or rentals@lyndensculpturegarden.org.